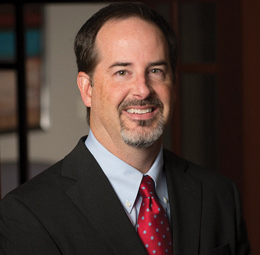 Jeff Moore practices in the area of health care law. He represents hospitals, freestanding health care providers, managed care and physician clients on Medicare and Medicaid payment issues, corporate compliance matters, Anti-Kickback Act and Stark law issues, and health care transactions. His health law practice includes defending health care providers and suppliers undergoing investigations and audits, including handling Medicare and Medicaid claims appeals. Jeffrey assists hospitals and other health care clients in physician relation matters, including the drafting of medical staff bylaws and the handling of peer review hearings. He also handles administrative appeals before the Provider Reimbursement Review Board and the Office of Inspector General, advising clients regarding state certificate of need laws and other state licensure issues and assisting in the preparation and negotiation of contractual arrangements between hospitals, physicians and other health care entities including, but not limited to, mergers and acquisitions and joint venture arrangements. He is also a member of Phelps Dunbar’s health care corporate compliance team, which performs legal risk analysis functions and the preparation of corporate compliance plans regarding Medicare billing issues, fraud and abuse, the Stark laws and other laws applicable to the operation of a hospital, health care system or physician’s clinic. Jeffrey serves as the firm's Regional Practice Coordinator for the health care practice group. Representing health care providers and suppliers in mergers and acquisitions. Representing hospitals and physicians in Medicare and Medicaid claims appeals. Defending health care providers and suppliers undergoing government investigations and audits. Representation of hospitals in EMTALA investigations, settlement negotiations with the Office of Inspector General and administrative appeals before the QIO and OIG. Representation of hospital clients in certificate of need and licensure matters. Representation of hospitals in risk analysis portion of corporate compliance programs and in development of corporate compliance plans and related policies. Representation of hospital in settlement with the Centers for Medicare and Medicaid Services regarding geographic reclassification. Representation of hospitals undergoing complaint and full Medicare surveys. Representation of physicians and nurses before their respective licensing boards. Representation of providers on reimbursement issues before the Provider Reimbursement Review Board. Representing clients before Congressional delegations on Medicare and Medicaid reimbursement issues. Representation of hospitals and managed care organizations in peer review matters and related peer review hearings. Representation of hospital and health care clients in preparation of medical staff bylaws and related documents.